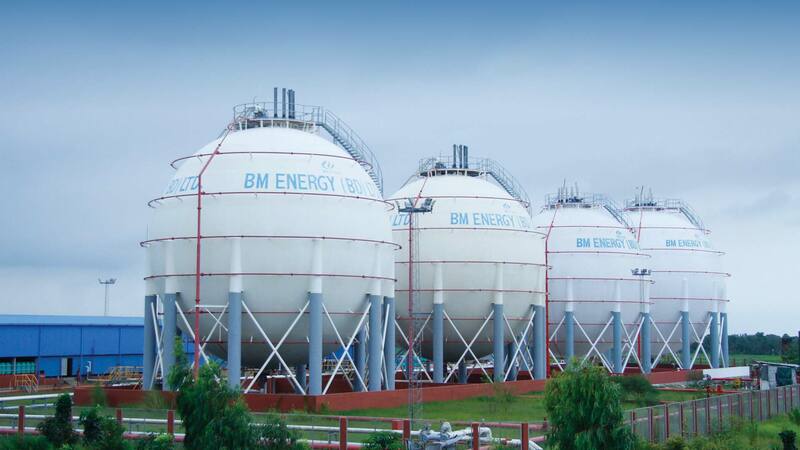 To achieve this vision, BM Energy has constructed a LPG plant with jetty facility for Importing, Storing and Bottling in Barabkunda, Sitakunda, Chittagong. This was in operation from 3rd July 2015. This plant has a capacity of handling 80,000 MT LPG per year. It has all the European standard, top of the line LPG Storing and Bottling equipment. It’s ultra-modern automated firefighting system is capable to protect the plant from any major fire related disaster. Our LPG offloading terminal is a kind of system with 2.2 kilometer pipeline connected with underwater Pipe Line End Manifold (PLEM) and our Conventional Buoy Mooring (CBM) jetty is designed to berth 5,000 GRT Pressurized LPG ships. We also have two spherical Tanks with the capacity of 3,000 MT and 24 post carousel cylinder filling system which is designed and installed by the renowned Kosan Crisplant, it can fill up around 1,200 pcs cylinder per hour. We have a plan to expand our current storage capacity by installing new tanks in the current LPG factory. A Dolphin Jetty is also being constructed to take bigger capacity ships in our Terminal. Our plan of growth is to build a world class cylinder plant in Boalkhali which will come into operation by May 2017. Our Satellite plant has already been established in Dhaka which can handle around 20,000 MT in a year. A new LPG station will be built in Chalna, Mongla. We have a plan to set up Auto gas stations around the country to promote the use of LPG in the vehicle. 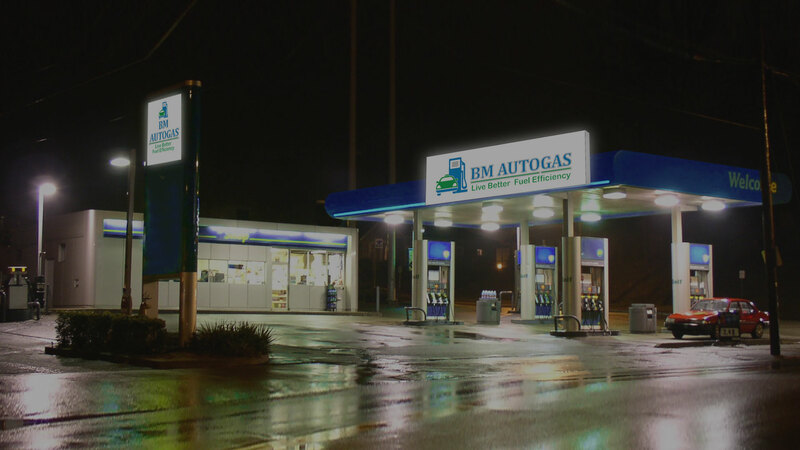 The use of LPG in Auto gas is very popular around the world. 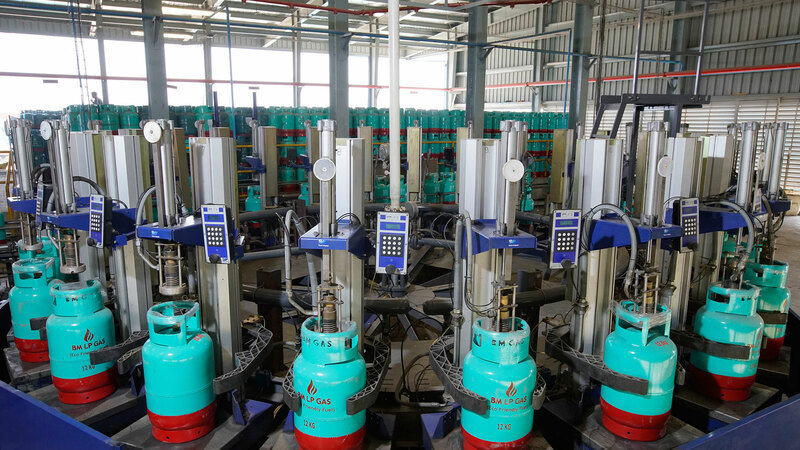 We have been successfully operating in the LPG market since the beginning of our commercial production from 3rd July 2015 and have become the 3rd largest LPG cylinder bottler in the country in 2016 after Bashundhara LPG and Jamuna Spacetec JV. 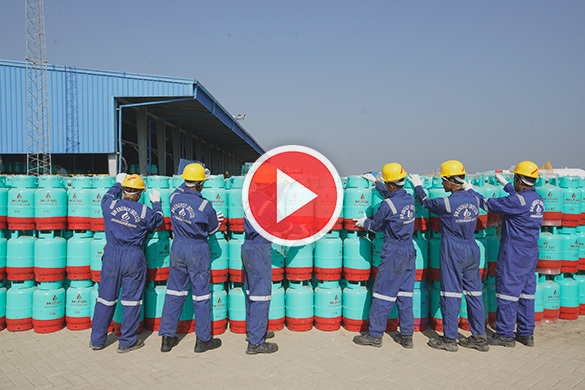 We hope to move ahead with our expansion projects to meet the growing need of LPG. We wish to have your support and wishes to make our dream come true. Good Day! And Make every day as an energy efficient day by using LPG.